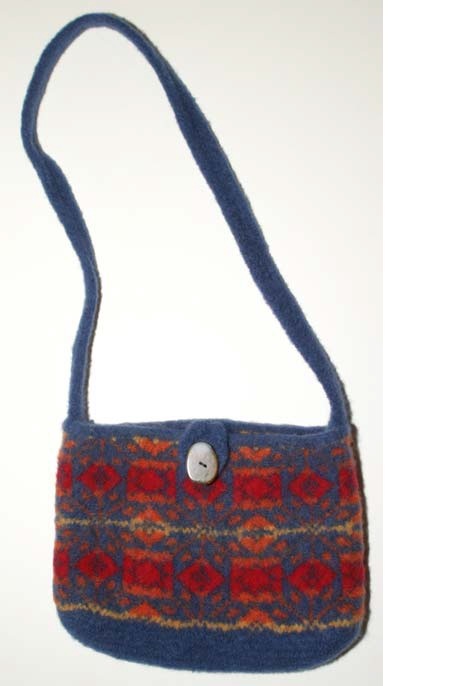 Our fabulous Felted Fair Isle Purse is made with four colors of feltable wool. We love Brown Sheep Naturespun. It features an I-cord button loop and a double I-cord handle that won’t stretch out of shape like a single I-cord will. Meagan would like to point out that this is the perfect size to hold her iPad.